This is the first in a series of posts intended to elicit delight — specifically, musical delight. What occasions it? 1. There needs to be more joy in the world. 2. Inspired by Ross Gay’s Book of Delights (2019), I am trying to locate delight in the everyday. Music is one of my delights. 3. I have started recreating (as best I can) my iTunes playlists on Spotify. Created a little over a year ago for a friend who requested a mix of instrumental funk, this playlist ought to lift your spirits. Though I have named it for the 1982 Clash song, the tracks here all date to funk’s first wave — or, at least, what I think of as its first wave. Part of the fun in responding to this request was that it required a bit of research on my part. (I’m interested in all kinds of music, but know funk far less well than other genres.) 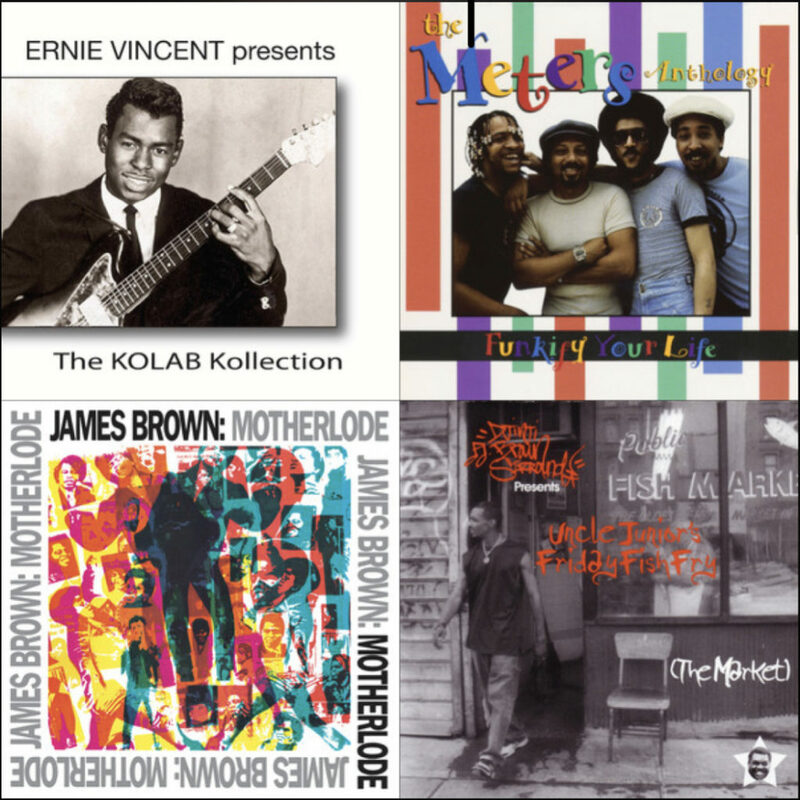 So,… if you think of any (mostly) wordless early funk instrumentals that should be added here, let me know! Note: the songs have to be on Spotify. (Alas, a few of my original choices were not on Spotify.) Enjoy! ALSO: for the next week, I will be posting one mix each day, purely for the enjoyment of anyone who would like to listen. Tune in again tomorrow for a new playlist! What is tomorrow’s theme? Well, since it will be Monday, I thought coffee would be apt. Thus, it will be 35 songs about coffee!